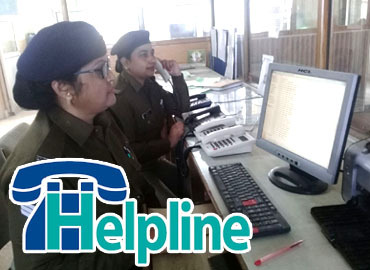 Uttarakhand Traffic Police is engaged in fulfilling the core mission of maintaining smooth traffic flow on the roads and road traffic safety. Smooth, safe and secure traffic movement. To reduce the number of road accidents, accidental deaths and injuries. To enforce traffic laws and regulations effectively. To inculcate a sense of discipline amongst road users and educate the public including school children on road safety. To ensure smooth and secure traffic movement for special occasions and VIP duties with minimum inconvenience to public. To encourage participation and involvement of public in traffic management. To assist and advice various agencies in coordinated development of infrastructure for smooth and safe flow of traffic.